Whether it's a 24-hour diner or a five-star steakhouse, most restaurants will try to maximize profits wherever possible. "Restaurants are trying to get as much from you as they possibly can," said Stephen Zagor, director of culinary business and management studies at the Institute of Culinary Education. Zagor should know. He has advised a variety of restaurants across the country on how to do just that. 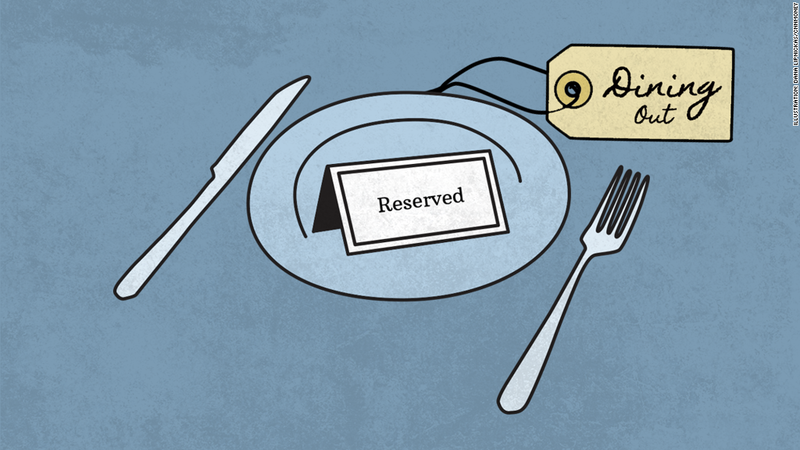 Here's his advice on how to avoid some of the tricks restaurants use to get you to spend more. Study menu placement: Many menus are crafted strategically. Anything emphasized — using a larger or bolder front, for example, or highlighted in a bordered box — is something the restaurant wants you to order, typically because it generates bigger profits, Zagor said. To find the best deals, look for more subtly placed items, such as those in the middle of the list. Watch out for the extras: From fountain sodas and fancy cocktails to a side dish or sweet treat at the end of the meal, extra items often come with higher markups and boost the restaurant's average bill. "Restaurants will use those items to really try to up their profits," he said. Avoid the add-ons: Want grilled chicken or shrimp on your salad? It will cost you. These items also tend to come with an extra mark-up. Scour the wine list: Wine and other alcoholic beverages are often one of the most highly marked-up items at a restaurant. However, not all alcohol is a bad deal. According to Zagor, a growing number of restaurants plant a few "great value wines" on their wine list. These bottles will sell for far less than the typical markup of two or three times the retail price. To find them, ask your waiter for the "owner's best value" or use your trusty smart phone to research retail prices before ordering.